Days Of Palestine [ BDS] – BDS organizes an international campaign aiming to boycott Puma clothing and sports equipment as it supports the Zionist illegal settlements in the Palestinian territories and is considered to be the official sponsor of the Israeli Football Association (IFA). On Saturday, June 15, the campaign has selected the world’s largest campaign, marking the 52th anniversary of the occupation of 67 territories by the Zionist entity. It calls on everyone to move towards the shops of the company “Puma” to view the violations of the occupation against Palestinian athletes, and the dissemination of the issue through social networking sites, boycott the products of the company and urge everyone to do so. The campaign will also deliver the company’s branches around the world a protest message from 200 Palestinian clubs. The Dutch Green Left Party has become the first mainstream political movement in the Netherlands to endorse a boycott of Israel. The party backed the Palestinian-led, Boycott, Divestment and Sanctions (BDS) movement during its General Congress meeting on 16 February. “BDS is a legitimate means to help Palestinians in their fight for justice,” the motion in question states. The motion also states that the Green Left “will be alert and resist forcefully attempts in any country to criminalise BDS”. The Green Left has 14 out of 150 seats in the House of Representatives, the lower house of the Dutch parliament. In response to the news, the Dutch Centre for Information and Documentation on Israel, a pro-Israel advocacy group, condemned the Green Left, and claimed that BDS “is linked to terrorist groups”. Israel’s Ministry of Strategic Affairs has released a report called Terrorists in Suits: The Ties Between NGOs promoting BDS and Terrorist Organisations. The report has a sense of melodrama, especially its pictures of BDS activists pinned to a noticeboard with red pins connected by red thread, like a scene from a crime drama. The man behind the report is Minister of Public Security and Strategic Affairs Gilad Erdan; he clearly has a wild imagination. Names, places, dates, events, meetings and pictures are all jumbled together to present a scenario which is supposed to deter people from supporting the Boycott, Divestment and Sanctions movement and wash away all of Israel’s crimes against the Palestinian people. In doing so, it simply peddles more myths and lies. Every pro-Palestine, pro-justice activist named in the report, it is alleged, is not what they seem. It quotes, for example, an Israel Supreme Court 2007 description of Shawan Jabarin, the General Director of Al-Haq Foundation, one of the oldest human rights organisations in the occupied West Bank, as a “Dr Jekyll and Mr Hyde” character. Due to “significant security concerns”, the court backed the army’s decision to ban him from overseas travel. Khalida Jarrar, Deputy Director of Addameer rights group, is defined in the same way. She has been held under an administrative detention order since 2017 for her role as a senior member of the Popular Front for the Liberation of Palestine (PFLP) and her alleged involvement in terrorist activities. Administrative detention allows Israel to keep people – always Palestinians – behind bars with neither charge nor trial on a renewable six-monthly basis. One section of the Israeli report seeks to present an act of piracy on the high seas as some kind of heroic act against terrorists. When Israeli commandos attacked the Turkish-registered Mavi Marmara in 2010 the vessel was part of a convoy of ships taking humanitarian aid to the besieged Gaza Strip. In international waters and with utter disregard for international law and human life the Israelis hijacked the convoy and killed nine Turkish activists — İbrahim Bilgen, Çetin Topçuoğlu, Furkan Doğan, Cengiz Akyüz, Ali Heyder Bengi, Cevdet Kılıçlar, Cengiz Songür, Fahri Yaldız, Necdet Yıldırım — and left a tenth, Ugur Suleyman Soylemez, so badly wounded that he died after being in a coma for four years. Israel eventually agreed to pay more than $20 million to the victims’ families. Israeli propagandists working for Erdan’s ministry still engage in the character assassination of these martyrs and distort the reality of that attack. Indeed, everyone who had anything to do with the Mavi Marmara convoy is still accused of “terrorism”, including the then head of Britain’s Palestine Solidarity Campaign Sarah Colborne, Ismail Patel of Friends of Al-Aqsa and leading Palestinian exiles Muhammad Sawalha and Zaher Birawi. Allegations against such activists include appearing on Al-Aqsa TV channel, which belongs to Hamas; promoting freedom flotillas to break the Israeli siege of Gaza; calling for an end to arms sales to Israel; and arranging demonstrations in support of the Palestinians’ legitimate right of return and the Great March of Return protests. It is even enough, according to Erdan’s report, to have gone to Gaza to give humanitarian aid and moral support to the Palestinians. Describe Israel as an Apartheid state and you will be called a terrorist, even though it fulfils all of the criteria for such a description. Throughout Terrorists in Suits… there is a brazen disregard for international law, UN resolutions and plain common sense, reflecting Israel’s contempt for the laws and conventions intended to protect vulnerable people and provide them with justice. Nowhere does the report give you any indication that its authors are even remotely aware of Israel’s brutal military occupation, to which the country’s courts and security agencies are in thrall. Indeed, it cites court judgements and reports by Shin Bet, the internal security agency, as if they are independent and completely impartial, which is nonsense. Any opposition or resistance to the illegal and belligerent occupation is ranked as terrorism, and woe betides anyone who thinks differently. According to Erdan and his team, nobody is safe from such a damning indictment, whether civil society organisations, Palestinian factions, intellectuals or activists. The report claims that 42 leading NGOs out of nearly 300 international organisations promote the “delegitimisation of Israel” and the BDS campaign against the Zionist state. That alone, it insists, is a good enough reason to classify them as “terrorists” and discredit them and their admirable work. Such activism, in the eyes of the Ministry of Strategic Affairs, is only acceptable when it favours Israel, otherwise, it is “terrorism”. As US President George W Bush said post-9/11, “Either you are with us or you are with the terrorists.” He left no room for the middle ground; that it is perfectly reasonable to be both against US militarism and terrorism. Israel has jumped onto this bandwagon, so either you are pro-Israel or you are a terrorist; you cannot be pro-justice if that justice will benefit the people of occupied Palestine. When I wonder, will Israel and its supporters wake up to the fact that peaceful pro-justice, pro-Palestine activists are not the problem, and that it is the Israeli occupation which is at the core of the matter? Israel has launched a smear campaign against activists affiliated with the Boycott, Divestment and Sanctions (BDS) movement, labelling them “terrorists in suits”. Israel’s Strategic Affairs Ministry launched the campaign this weekend with a series of posters depicting prominent BDS activists as “terrorists”, using the hashtag #TerroristsInSuits to smear the individuals’ professional credibility and the BDS movement as a whole. Among the activists targeted were French-Palestinian activist and research at Adameer Salah Hamouri, general-director of Al-Haq Shawan Jabarin, and Palestinian icon Leila Khaled. In one image, director of the Palestinian Centre for Human Rights Rani Sourani is shown smiling in a suit, juxtaposed with an image of a man armed with a machine gun and clad in a kuffiyeh(traditional Palestinian headdress) in an image meant to portray his “terrorist” alter ego. Israeli daily Haaretz pointed out that the claims made in the ministry’s report – which accompanies the hashtag campaign – “are very similar to earlier publications by the right-wing group NGO Monitor”. Haaretz explains that the report “includes identical examples and quotes” to NGO Monitor’s publications, but claims to “dig deeper than past publications and present the findings in a ‘new packaging,’ with a new diplomatic message, which will be translated into many languages for the purpose of waging a Hasbara [propaganda] campaign”. Erdan has effectively waged war against BDS during his term as strategic affairs minister. In May 2017 Israel introduced a law blacklisting NGOs and forbidding entry visas and residency rights to foreign nationals who support BDS. Erdan has since been at the forefront of efforts to ban Spanish, Jewish-American and British activists and has also overseen the deportation of prominent human rights activists already stationed in Israel, including director of Human Rights Watch (HRW) Omar Shakir. For its part, NGO Monitor has assisted Erdan in his anti-BDS war. In October, a report by the Policy Working Group (PWG) – a collective of Israeli ex-diplomats, academics and others professionals – accused NGO Monitor of “spearheading the shrinking of space for Israeli and Palestinian human rights NGOs”. PWG slammed NGO Monitor, accusing it of being “a government-affiliated organisation that selectively targets human rights organisations, relies almost entirely on funding from donors in the US, shirks the transparency it demands of others and disseminates misleading and tendentious information, which it presents as factual in-depth research”. A primary school teacher in Texas has been fired for refusing to sign an anti-BDS oath embedded in her employment contract. Bahia Amawi is a language specialist who works with autistic and speech-impaired primary school children. She has been told that she can no longer work in the state’s public schools after she “refused to sign an oath vowing that she ‘does not’ and ‘will not’ engage in a boycott of Israel or ‘otherwise take any action that is intended to inflict economic harm [on Israel]’,” the Intercept revealed yesterday. Upon refusing to sign the contract, Amawi was told by her school district supervisor that her employment would not be renewed. The clause was entered into Amawi’s contract after Texas enacted a law in May 2017 prohibiting state agencies from signing contracts with companies that boycott Israel. The law – known as HB 89 – required the Texas Comptroller’s Office to make a list of all companies that boycott Israel and to hand this list to state agencies, which would then be banned from forming contracts with these blacklisted companies. The law also prevented state pension funds from investing in companies which support BDS. Texas is not the only US state to have enacted an anti-BDS law. Illinois became the first state to adopt such legislation in 2015, with a further 25 states following this model since then, including the State of New York, California and Florida. A further 13 states have anti-BDS legislation pending, including Massachusetts, Virginia and Washington. US support for BDS was thrust into the spotlight in September when, citing the movement, a professor from the American University of Michigan refused to write a letter of recommendation for a student who wished to study in Israel. John Cheney-Lippold’s stance drew anger from pro-Israel organisations in the US, including the Anti-Defamation League (ADL), which have worked to counter growing support for the movement. Since then, other university faculties have vowed to back BDS, as has newly-elected Congresswoman Ilhan Omar, who in November became one of the first two Middle Eastern-heritage women to be elected to the US Congress. Asked about the backlash against the boycott both in Israel and in the United States, Levy said that the BDS campaign is still “the only game in town”, a description he first used in 2016. Twenty per cent of the Arab and Islamic countries possess diplomatic relations with Israel, the anti-Israel Boycott, Divestment and Sanctions (BDS) global campaign reported yesterday. 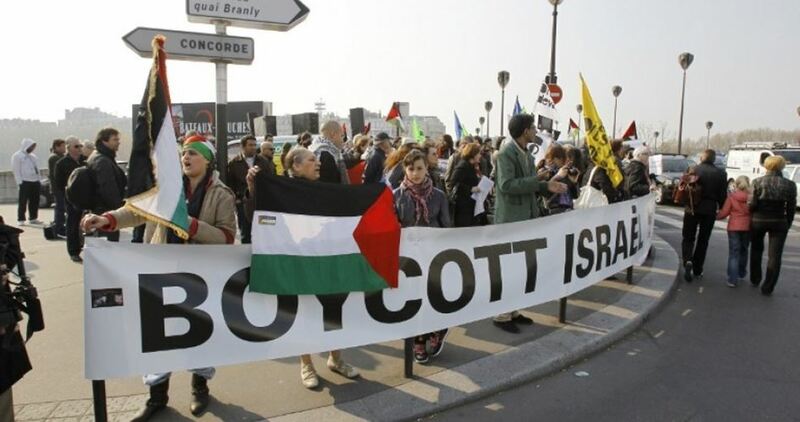 “Palestinians won’t forgive anyone who normalises with the Zionist entity [Israel],” the boycott organisation stressed. BDS is a Palestinian-led movement for freedom, justice and equality. It aims at raising global awareness about the importance of boycotting the Israeli occupation at all levels and rejecting its co-existence and countries who normalise with it. Denmark has announced that it will no longer provide any funding to groups that endorse the Boycott, Divestment and Sanctions (BDS) campaign, in what pro-Israel activists have called a significant step. “The use of Danish funds for political purposes, including BDS activities, is unacceptable,” read the conditions. The other guidelines mandate the defunding of any recipient caught “associating with a terrorist movement”, violating human rights principles or “questioning Israel’s right to exist”. Olga Deutsch, the director of the Europe Desk at the right-wing, pro-Israel watchdog, NGO Monitor commended the Danish move. “Switzerland and Norway addressed similar issues earlier this year, and we hope that Denmark’s guidelines will serve as an example for other European countries,” she said. Last December, Denmark suspended its aid to many Palestinian groups and then more than halved the number of such recipient groups it had decided to fund in 2018. The investigation started after the Palestinian village of Buraq opted to name a women’s centre after slain Palestinian resistance fighter, Dalal Mughrabi. The Swiss Foreign Ministry also announced last year that it had stopped funding the Palestinian NGO Human Rights and International Humanitarian Law Secretariat due to the name change, alongside Norway. In 2017 Belgium also ended its funding for Palestinian schools over the naming of one such institution in honour of Mughrabi. Numerous Palestinian organisations have come under fire from donors due to their support for the BDS campaign. Pro-Israeli groups have often been behind such action, after convincing policymakers that any attempts at Palestinian resistance, including support for the non-violent BDS movement, equates to terrorism. Earlier this month, France announced that it would no longer label products produced in illegal Israeli settlements after it was sued by a pro-Israel think tank for “discrimination”. In August, two municipalities in Spain rescinded their support for the BDS movement after a pro-Israel group threatened them with legal action. In May 2017, Israel also successfully pressured the Danish government into suspending support and funding to groups that advocated for a boycott of Israeli goods.